Samsung Galaxy S10 Trio Full Specifications Leaked - Playfuldroid! Samsung will be debuting the Galaxy S10 series on Feb. 20. Today, a new leak in the form of two sheets have surfaced through which the entire specification of the Galaxy S10, Galaxy S10 Plus and Galaxy S10e. 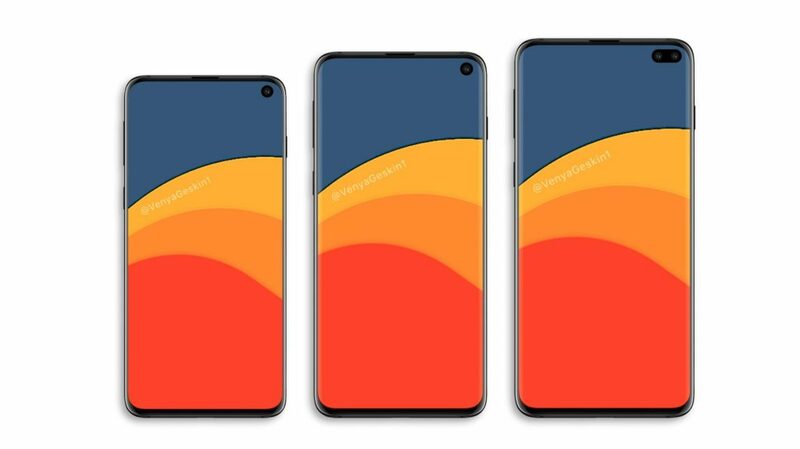 Fresh information reveals that the Galaxy S10, Galaxy S10+ and Galaxy S10e are respectively equipped with 6.3-inch, 6.1-inch and 5.8-inch AMOLED HDR+ Infinity-O display that carries support for Quad HD+ resolution and 19:9 aspect ratio. The S10 and S10+ are equipped with ultrasonic in-display fingerprint scanner. The S10e has a side-mounted fingerprint scanner. All three phones support for face recognition. The Galaxy S10 and S10+ are equipped with triple camera setups with 12-megpaixel telephoto lens + 12-megapixel wide-angle lens + 16-megapixel ultra wide-angle lens. The Galaxy S10e features 12-megpaixel wide-angle + 16-megapixel ultra wide-angle lens. For shooting selfies, the S10 has a 10-megapixel selfie camera whereas the S10+ has 10-megapixel + 8-megapixel dual camera setup. The S10e has 10-megapixel selfie shooter. The S10 trio will be the first phones to carry support for 4K video shooting. The Galaxy S10+ is equipped with 4,100mAh battery whereas the S10 has a 3,400mAh battery. The S10e has a 3,100mAh battery. These phones are equipped fast wireless charging service.